There’s something about this little, brown, cube monster that people love. I first came across Domo when chatting on AIM with my high school friend, Lawrence Kwan. He had it as his buddy icon. I asked him what the brown square with the mouth was and he directed me to a website with an animation. I didn’t really get it. But there was something neat about the little guy. Then, all of a sudden, I see him all over the place for Target’s Halloween in-store decorations. (I wish I’d taken a photo) There’s something people love about the little guy. On flickr there are, as of this writing, nine groups featuring Domo. These photos are from my brother’s photostream. 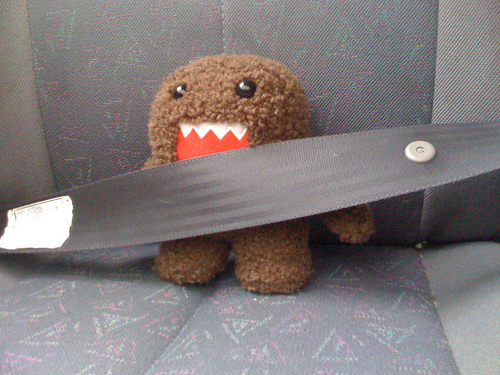 Follow along on Domo’s adventures in Dan’s set The Chronicles of the Traveling Domo. 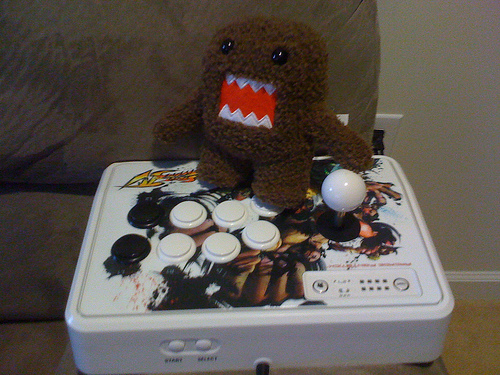 Thanks for the shoutout to the Domo-kun pictures. I’ll keep ’em coming! Wiki has a page on it.